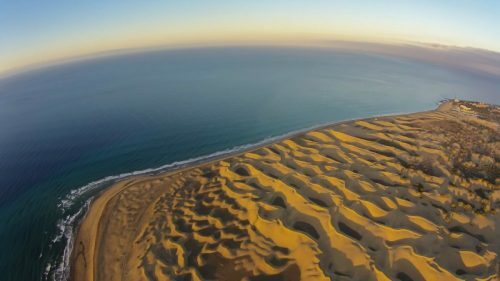 A few facts about Gran Canaria	We are glad you found your way here. Let us tell you a little about the island. Gran Canaria sits just over 200 km west of Africa, and about 1250 km south of the coast of Europe. Only about 5 hours flight from any European city. Gran Canaria is known for its diversity. On only 1560 km2, it has 5 different climate zones! And you can certainly experience all five, if you venture out to explore. With 350 sunny days per year in the south, warm weather is the norm. And the capital Las Palmas in the north is famous for the mildest climate in the world. 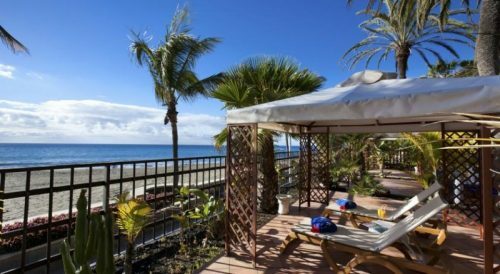 The Gran Canaria Regional Guide is an online island and business guide, written by residents for residents and holiday-makers. Anything that can be pin-pointed on the Gran Canaria map and is of public interest, like beaches, sights, things to do, but also hotels, restaurants, activities, shops and other businesses which you might be curious about, we include as listings in our guides. In our Eat & Drink Guide, we introduce you to our favourite restaurants, snack-bars, Chill-Outs and other places us locals go to on a regular basis. What we find to be the best hotels you can find in our Hotel Guide. The criteria we chose them by is either from personal experience or what friends and family have told us about. Sport-centres, beauty salons, tattoo shops, hair dressers, fumigators, clinics, schools, print-shops, and many other enterprises you can find in Shopping & Services. Any business that can offer their service to the public can have a listing in one of our guides. 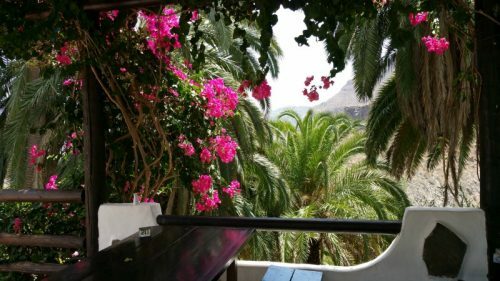 We also have a Blog Section where we share insider information about the island, like articles about the weather, the bus-lines, the weekly markets, recurring events, Canarian Recipes and more. Since we are a multi-cultural team offering our information to a multi-lingual audience, we decided it was time to make the same information and content available to all residents and tourists of our beloved Gran Canaria. We started out in 2015 with the three main languages on the island: Spanish, German, and English. Then in 2016 we added Swedish, Norwegian and Finnish as well as Dutch. The versions in Italian, French and Danish were published in the autumn of 2018. Gran Canaria is very cosmopolitan, especially in the south. Both residents and tourists are numerous and mostly from Europe. Every year, about 4.500.000 people arrive for holidays. The biggest group, with 1,1 million come from German speaking countries, followed by the Nordic countries with just under a million, who mostly holiday in the winter months. And the third biggest group arrive from the British islands adding up to 900.000 travellers per year after all. Naturally, each prefer to communicate in their own mother tongue. We saw the need for a multi-lingual online guide, which offers the same insider info in all those different languages. In our Yellow Pages Gran Canaria we list only businesses which offer their service to the general public. You will also find places such as beaches, museums, viewpoints, and other sights of public interest, which we also pin-point on our GRAN CANARIA map. Each one of them receive their own listing, in one or more languages, and show up in our Yellow Pages Gran Canaria. The businesses and service providers we include have a choice in which languages they are presented in. Our content is always written in English first, and then translated to the other languages of their choice. We only recommend businesses which we have visited and tested ourselves. If a tested business satisfies our expectations we will tag it as FEATURED or even recommend it as a PREMIUM BUSINESS. If you would like to see your establishment included in our Yellow Pages, please contact us here.